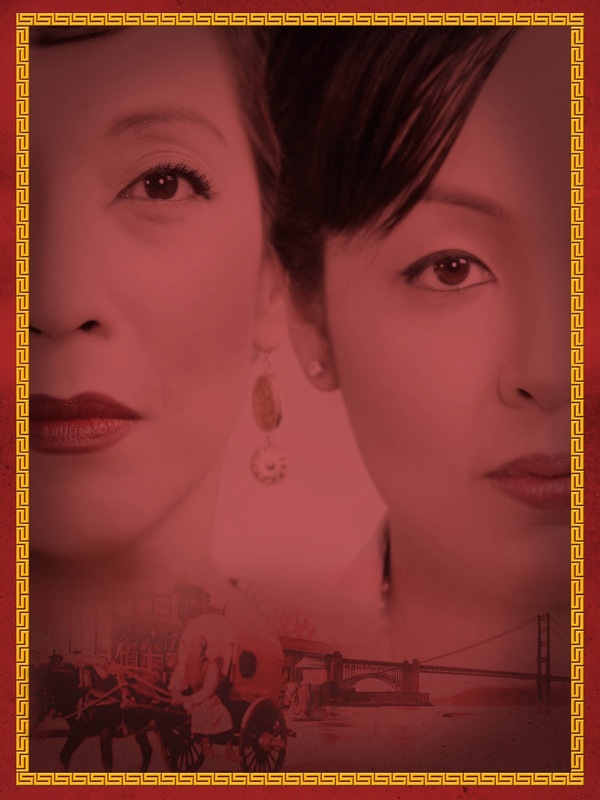 When I was young, The Joy Luck Club by Amy Tan was a popular topic for book reports. I don't remember reading the book, but I remember the 1993 movie of the same title. 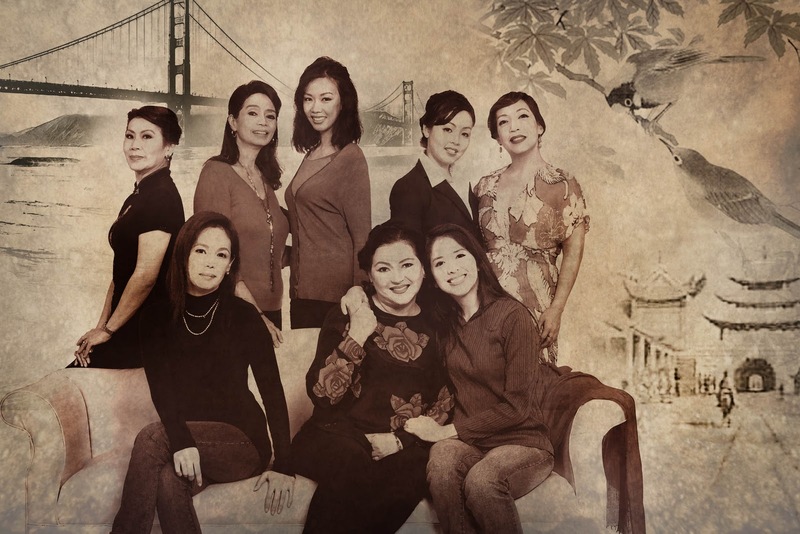 Mother-daughter relations, Chinese, American (note that Filipinos are heavily-influenced by both cultures) or otherwise, is a story I took to heart since I, too, am a daughter. When I learned Repertory Philippines would be staging it this year in their 74th Season (and luckily, I got a hold of tickets to see it and two other plays), I was eager to see how the experience would differ. That, and it's been like ages since I've seen a play. Walking into the Onstage theater gave me a whiff of college nostalgia (my org stages plays and productions). The bamboo sets seem only fitting since this was Rep's Chinese New Year offering. The play of lights, shadows, sounds, and slow motion was put into the play artistically so that the minimalist approach (imaginary props, doors, and what have you) was noticeable but not distracting. It transitioned the audience through the changes of story or time, which helped tell the stories smoothly. Or, Female leads rock the house! As the play went on, I found myself counter-checking who's who from the movie. But the artistic aspects did not disappoint. The powerhouse cast of strong female leads delivered superb performances, as well as the supporting actors. And I have to say Frances Makil Ignacio is a favorite. She totally caught me unaware when she delivered her lines that sounded as if she was chewing her food. Well, it was during a dinner scene, so I shouldn't be surprised at all really. It was just so... natural. Frances Makil Ignacio's (left) comedic timing is effortless. Or, Cris Villonco (right) looks very much like her role's movie version. Though I wouldn't suggest one to jump into this adaptation of the book since some lines are long. It might be hard for other people, who have no idea about the plot, to keep up. Even I got lost in the Moon Lady really, but his (yes, the lady is a man sans the makeup) lines were delivered in a very convincingly folklore-ish or mythical fashion. But once you've read the book or watched the film, the appreciation of this version is very welcome. If the movie put faces on the names in the book, this play kind of made it 3D of some sort. 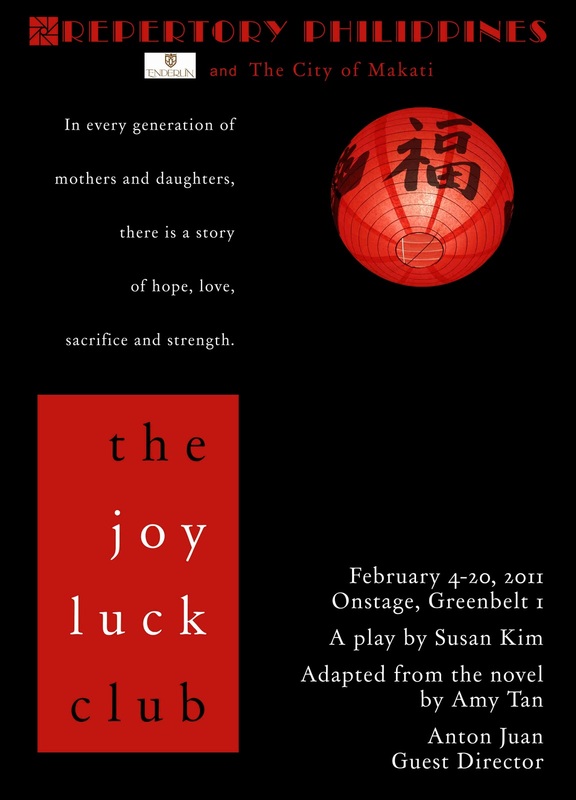 Repertory Philippines' The Joy Luck Club gets a seven-point-five out of ten, for its powerhouse cast, classic story, and fresh take on theater directing. 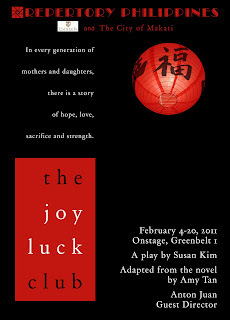 *photos from bp.blogspot.com, courtesy of Repertory Philippines. "... when she delivered her lines that sounded as if she was chewing her food"
─This is what The Negation and I call a "ticket". Owww-kay. Hahaha. Aminin mo, natuwa ka rin dun. Hehe.